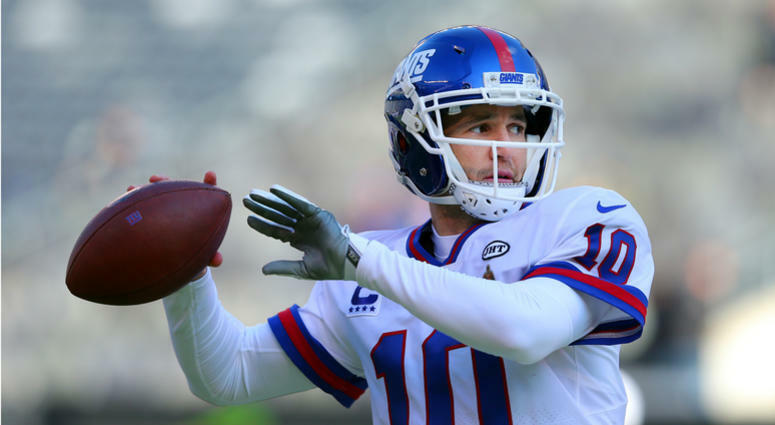 As each game goes by and the Giants continue to win games, the chances of Eli Manning starting at quarterback for Big Blue next season are high. However, this should not prevent them from finding his successor. There are multiple options, but most of them are through the draft. The only player I could see as possibly being a long term solution at quarterback on the free agent market is Teddy Bridgewater. He has starting experience from his time with the Vikings and even made a Pro Bowl. Unfortunately, an ACL tear sat him out for a season and a half and his starting spot was taken by Case Keenum by the time he was healthy. He then signed with the Jets in the 2018 offseason on a one year deal. Multiple teams were very impressed with Bridgewater, but the Saints were the ones to land him for a third round pick. This past offseason proved that Teddy can still play at a high level, plus he has experience playing under Giants’ head coach Pat Shurmur from his time in Minnesota. The top option at quarterback is Oregon product Justin Herbert. He is currently projected to be the first quarterback off the board in the 2019 draft. His blend of size, accuracy, arm strength, and mobility are comparable to some of the recent top picks such as Sam Darnold, Carson Wentz, and Andrew Luck. The Giants have shown significant interest in Herbert, sending scouts to multiple Oregon games and even the GM Dave Gettleman was in attendance for one of his recent games. There are questions as to whether or not he will declare, since he is only a Junior and has one year of eligibility left, but seeing the he has the chance to possibly be a top 10 pick in the draft could sway him. Besides, who doesn’t want to play in New York with the best wide receiver-running back duo in the league in Odell Beckham Jr. and Saquon Barkley? The second best quarterback, Dwayne Haskins, is in a similar situation. The Red Shirt Sophomore from Ohio State broke multiple school records and lead the Buckeyes to a 12-1 record, just barely missing the playoffs. He is not the athlete Herbert or some of the other quarterbacks in his draft are, but he isn’t unathletic. He has the ability to dodge rushers and maneuver the pocket while also being able to escape and scramble for yardage. He is a more traditional drop-back quarterback with a strong arm, good footwork, and accuracy. Give him time in the pocket, and Haskins has the talent and ability to dice up any defense, as we saw in his game against Michigan. Plus, he grew up in New Jersey as a Giants fan and said he would love to play for them so why not make his dream come true? The best quarterback that we already know is declaring is West Virginia star Will Grier. While a bit undersized for the position at 6’2, Grier is an accurate, smart passer who throws with touch and has enough athletic ability to escape the pocket and avoid pressure. He lacks elite arm strength but makes up for it with his passion and leadership. He has the ability to raise the level of play of his teammates which is an underappreciated intangible skill that not all quarterbacks have. Grier is also a very clutch quarterback, winning multiple games in the final minutes, including a crazy come from behind win against Texas. His best game of the year was when he went toe to toe with Heisman Trophy winner, Kyler Murray. West Virginia lost 59-56 but the game went down to the wire. Grier threw for 539 yards and three touchdowns along with a rushing touchdown. The Giants scouts and GM were in attendance for this game so he certainly could have impressed them with this performance. Selecting him just outside the the top 10 wouldn’t be a bad decision, but the Giants shouldn’t reach to select him inside the top 10 if the other 2 quarterbacks don’t declare.